Business Development Companies (BDCs) are the Jekyll and Hyde of the high yield stock universe. My analysis shows most of these stocks as not safe places to hunt for dividends. However, there are a handful that are attractive, high yield income stocks. The Small Business Credit Availability Act passed earlier this year loosened the leverage restrictions for BDCs. These new rules are likely to make the ugly even more unpleasant to own and the attractive BDCs even better income producing investments. Business Development Companies operate under special rules that allow them to not pay corporate income taxes. They are required to provide investment capital—loans and equity investments—to small and midsized corporations. To retain its pass through tax status, a BDC must pay out at least 90% of net interest income as dividends to shareholders. The problem with the BDC business model is that these companies make risky loans to businesses that cannot get financial through regular banking channels. At the same time, the companies must pay the majority of profits out as dividends. This means a BDC cannot set up reserves against bad loans. With the risk level of BDC loan customers, loan losses are unavoidable. 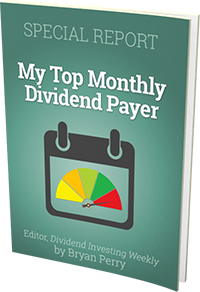 Poorly managed BDCs experience a steady NAV erosion and are forced to slash dividends. Well managed BDCs have strategies to offset the NAV erosion using portfolio growth and equity investments in client companies. A further restriction on the BDC business model limited debt to one times equity. That means a BDC with $500 million of equity could borrow another $500 million to own a $1 billion investment portfolio. Using leverage boost the net income per share of equity investors, i.e. shareholders. The Small Business Credit Availability Act allows a BDC to increase debt up to two times equity, effectively doubling the leverage available to these companies. A Board of Directors approval or vote by the majority of shareholders is required for a BDC to increase its debt limit. A one-year cooling off period is required for companies receiving board approval, but BDCs that seek approval via a shareholder vote will be able to make changes one day after a majority vote. As with most things BDC associated, the new leverage rules will likely result in bad BDCs losing investor money even faster and the good management teams will be able to invest the added debt to produce dividend growth. Here are three of the better managed companies in the sector. 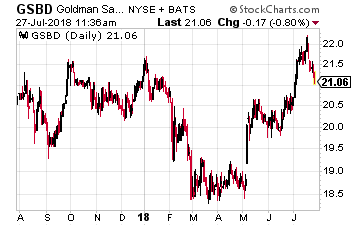 Goldman Sachs BDC, Inc. (NYSE: GSBD) is a newer BDC managed by the famed investment bank. The company launched with a March 2015 IPO. The dividend has been level at $0.45 per share since the IPO. NAV per share has eroded over the last three years from $19.46 down to $18.10. For its annual meeting in June, the GSBD Board filed a proxy for shareholders to vote on a reduced management fee structure and to increase the company’s allowed amount of leverage. These should allow future growth of the portfolio and dividend. The shares currently yield 8.4%. 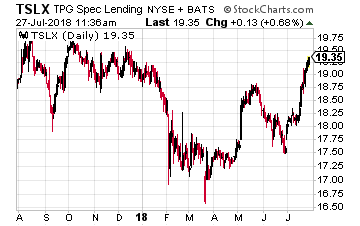 TPG Specialty Lending (NYSE: TSLX) has been a publicly traded since March 2014. The BDC is managed by private asset manager TGP, which has $80 billion under management. The management team has demonstrated excellent discipline in its approach to making portfolio loans. As a result, the company has shown slow but steady NAV appreciation. TSLX has not yet announced if or when it will take advantage of the new leverage limits. This BDC is unique in that it pays a base quarterly dividend of $0.39 per share and then each quarter if earnings justify it, an add-on dividend is also declared. A special dividend has been paid for each of the last five quarters, totaling $0.28 per share.